The #FOAMed Project Turns Two! HomeThe #FOAMed Project Turns Two! In an ISAEM board meeting around two years ago, we had a discussion about the challenges faced by students interested in Emergency Medicine where it is a new or undefined specialty. We recognized that many may not appreciate its unique opportunities and its potential to improve patient care due to minimal exposure to the specialty. We understood this as a problem and we wanted to help to improve the situation. But, how could a group of medical students effectively spread the word about Emergency Medicine and get a new generation of medical students excited about the budding specialty? We all agreed that the best thing about the online EM presence was #FOAMed. This is how the idea of translating #FOAMed posts came about. We would be not only disseminating knowledge about the specialty, but we would also be contributing to the education of our colleagues and impacting patient care in a positive way. There was no better way to disseminate the best EM research, news, pearls and the EM “mindset” to our audience. We just needed to get started! At the end of 2015, we developed a pilot project and published a few posts. It was time to learn how to work with WordPress, to develop a productive translation streamline, and to solidify our team. For the initial two months of 2016, everything went as planned. It was now time for the ISAEM #FOAMed Project to be officially born. 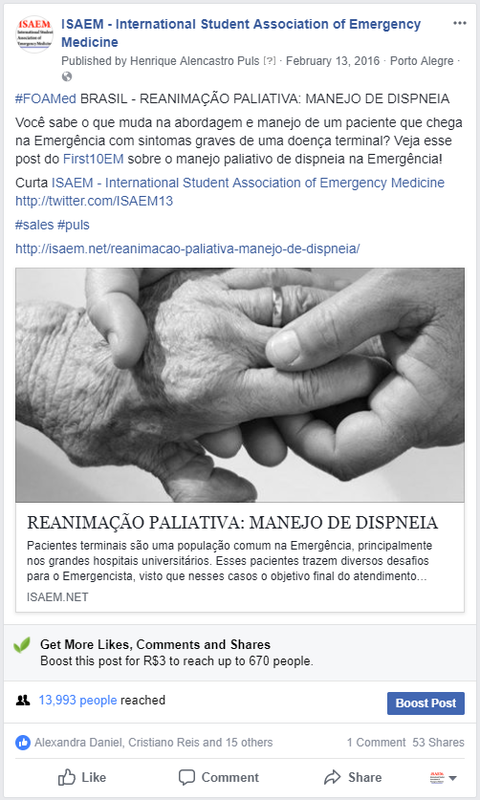 Our team of Brazilian medical students was ready and we started rolling out posts in Portuguese. The response to our work was unexpectedly amazing. For every new post, there was a new wave of people liking our Facebook profile, visiting our website, and sharing content about Emergency Medicine. The more we posted the more people would ask to join our team. By the end of the year, we celebrated the success of the project and decided to expand. In 2017, we had students from Ecuador and Canada taking part in the ISAEM #FOAMed Project. The new team members helped us get closer to our initial goal of spreading the word about Emergency Medicine and the response from the Spanish-speaking medical community was again better than expected. In these two years of life, our posts have been viewed more than 220,000 times and the viewership keeps growing steadily. The project brought so many great students together. More than 30 medical students from Brazil, Canada and Ecuador have been involved with the translations. The impact of this network of motivated students surpassed the borders of ISAEM. 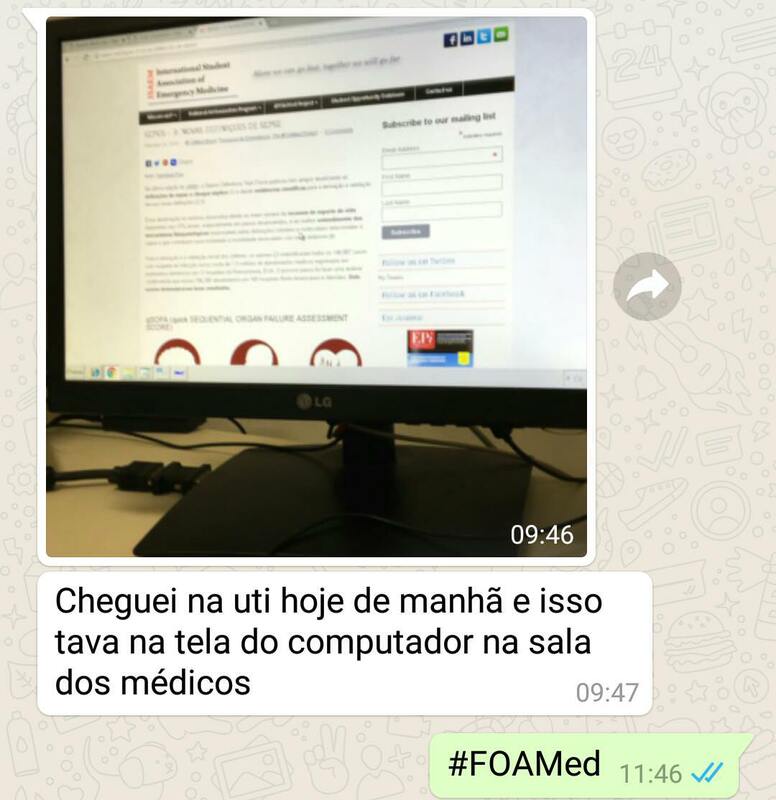 For example, the Brazilian students that met through the project went on to co-found the Student Committee within the Brazilian EM Association (ABRAMEDE). However, the most rewarding part of participating in the ISAEM #FOAMed Project is realizing how much you can positively impact patient care through knowledge dissemination. 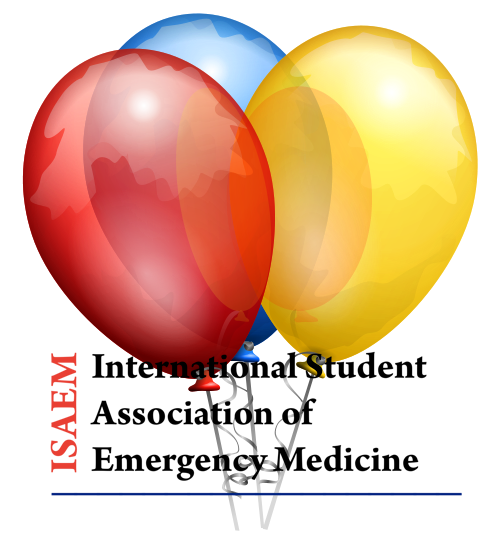 This month, the ISAEM #FOAMed Project is celebrating its second birthday, but we are just getting started. To keep growing we need more motivated students to join us. ISAEM is looking for French, Spanish and Portuguese translators and a French coordinator for the #FOAMed Project. The project aims to further the knowledge translation that #FOAMed does so well and have it reach more audiences worldwide. Formal translation experience is not required! So, if you are looking to contribute to the #FOAMed world, please e-mail Hélène Morakis (hmorakis@qmed.ca) indicating the position(s) you are interested in and 100 words or less indicating your experience and interest for the position by April 8, 2018.